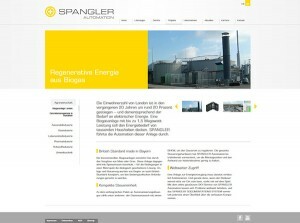 Since the start of March, the website of SPANGLER Automation has had a new design and new contents. The most important are: under the heading “Projects”, the company presents reports from every sector whose solutions and processes are typical of its approach. New content in the “Careers” section: the points “SPANGLER fitness programme” and “Location” have been supplemented by additional information and details for everyone who would like to visit SPANGLER or work there. And all the press releases, newsletters and other news are brought together under the heading “News”. Reference projects with special customer solutions. The SPANGLER website with a new design.